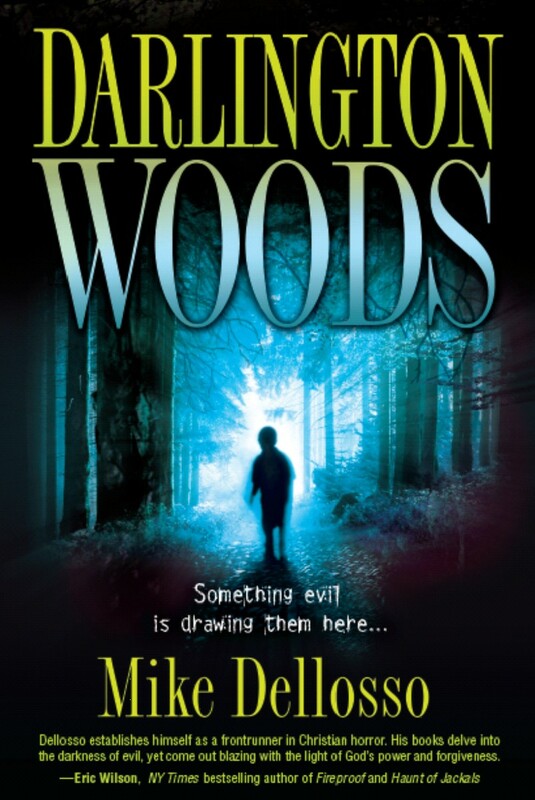 Back in early 2010 I was getting ready to release my third novel, Darlington Woods. I’d released The Hunted in 2008 and it enjoyed some moderate success, enough to land me another contract. Then in 2009 I released Scream and that did even better, almost doubling the sales of The Hunted. So in preparation for Darlington Woods I planned for a big release that would net big results. I truly felt it was my best writing to date, both in style and storytelling. The plot was engaging and fast-paced, the characters were interesting and unique, the theme was right from the heart and I knew it would touch many lives. It was the first full-length novel I wrote after battling colon cancer and so much of myself, my journey, my emotional roller coaster was poured into every page of the story. No shortage of vampire books stock bookstore shelves today, but few combine Christian themes with ghoulish vampire villains like this headlong rush of psycho-spiritual suspense . . . Never indulging in long boring tangents or fussy character descriptions, Dellosso’s pacing is perfect and passionate. Even though the choice of setting and parts of the plot mirror the popular novel The Shack, readers familiar with that book will find this new combo of Christian vampire fare a quick and breathless read and will scream for more. Now, remember, this was when the Twilight saga was at its prime. Vampires were the in thing. And the fact that Publisher’s Weekly not only called it a vampire novel but also compared it to The Shack . . . well, I was sure that would seal the deal. And why wouldn’t it? The big day came and to make a very long story very short . . . the book flopped. Sales were mediocre but worse than both Scream and The Hunted. I couldn’t understand it. I’d prepared more for this release than either of the other two. The book had gotten more exposure than I even planned for. Publisher’s Weekly had given it a glowing review. And both vampires and The Shack were still very hot. What went wrong? You know, three years later I’m still asking myself that question. I still think Darlington Woods is my best book. It’s my favorite of all my titles. I look back on that release and the subsequent trip and can’t understand it. I think part of it is the environment of the Christian fiction industry. One, supernatural suspense as a genre was on the downslide in the Christian market (and still hasn’t recovered) and horror was never a hit. And two, maybe vampires were hot in the secular market (and still are) but in the Christian market there was (and is) little interest. Funny thing is, never once in the book are the creatures referred to as vampires. They’re called darklings and though they act like vampires I didn’t even think of that while writing it. But it seems that Publisher’s Weekly comparison turned out to be at least one stake in the book’s heart. The other truth I need to face is that it just wasn’t God’s time. I don’t know why and may never know but I have to accept it. So much of this business of writing is skill and talent and marketing ability, but so much more is reliance on God and faith in him to do what he knows is best. It’s a walk of trust every day. And isn’t that so much like the rest of life? Recently I accepted duties as a feature writer for Afictionado, the e-zine of the American Christian Fiction Writers. My articles are titled “A Few Moments With . . .” and my first one features author Kit Wilkinson. She has quite a story. Read it here. Also, a review of Darlington Woods is featured in this January edition. Read it here. The American Christian Fiction Writers is the organization for Christian novelists. Every month their book club votes on a book to read and discuss via email (the club has over 1400 members) and Darlington Woods is on the docket along with 18 other suspense/mystery books for February 2011. Now here’s where I need your help. We need votes to get DW named the February selection. You have to be a member to vote but joining is free and there’s no obligation to do anything after you join. You can unjoin at any time by simply unsubscribing to the email loop. Here’s how you join and vote. To join just send a blank email to acfwbookclub-subscribe@yahoogroups.com. This is a Yahoo group. You’ll receive a confirmation email instructing you how to join (it’s pretty step-by-step simple but you’ll need to register with Yahoo (username, password stuff) if you’re not already). Follow the instructions and once you’ve joined go to this link, http://groups.yahoo.com/group/acfwbookclub/surveys?id=2328256, and vote. Voting ends tomorrow so please, if you’re going to vote, do it today. Now, when you vote it will show you the results so far and you’ll notice DW is way behind. It’s definately an underdog. But I have some of the best readers out there and I know with your help we can make this happen. The exposure would be tremendous and a real boost to getting DW out there for more to see and read and enjoy. Thanks in advance for your help. I mean every word when I say I have the best readers out there. Oh, and if you so feel compelled, please pass this link on to others you know so they can get in on the vote too. Thanks! In some of my recent Facebook comments I’ve mentioned work I’ve been doing on a new project. A couple months ago my good friend and mentor in many ways, Kathy Mackel (a novelist and screenwriter), sent a copy of Darlington Woods to a movie producer she knows in Los Angeles. A few days later I got an email from Kathy saying the producer read the book in one night, loved it, and wants to talk. A day later I was on the phone with Roma Roth of Reel World Management discussing the possibility of turning Darlington Woods into a screenplay. She sounded excited . . . I was excited. There were details to work out, of course, and after a few weeks of discussions, several more phone conversations, and back and forth email, Roma optioned Darlington Woods to begin work on developing a screenplay. That’s where I came in. Both Roma and I thought it best if we worked on the screenplay rather than outsource it another writer who may not keep the integrity of the story. Almost three weeks ago I began to work on it and finished the first draft just a few days ago. Now, what does all this option business mean? Here’s what it does mean: Roma has temporary rights to shop the screenplay around Hollywood and elsewhere in hopes of finding a studio willing to purchase the rights and put up the bucks to film the movie. That’s all it means. Here’s what it doesn’t mean: It doesn’t mean the movie will come out next summer . . . or ever. Novels and screenplays get optioned all the time and while it’s cool and exciting, it’s no guarantee the rights will be purchased. No guarantee at all. In fact, it’s still a long, long shot. (But God is a perfect marksman and specializes in long shots). So please, don’t ask me when the movie is coming out. Don’t ask me who will star in it. Don’t ask me if I’m rich yet (oh, if only it was that easy). Don’t ask me if I’m going to Hollywood. Don’t ask me if I know Tom Cruise. While it’s a major blessing to be in this position and a real shot in the arm for Darlington Woods (a story worthy of the big screen . 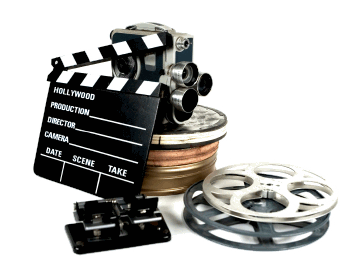 . . in my opinion), I’m grounded enough to know that actually making it to the big screen is still a dream and a hope away. But with God . . . stranger things have happened. I’m just enjoying the process and learning as much as I can along the journey. Hello all . . . whew it’s been a while since I’ve posted anything. I do have a reason for this. I’ve been busy, busy finishing up Darkness Follows. During the second and subsequent drafts I like to stay focused on the story to maintain the flow and remember details. That means all other writing (i.e. blogging) must be put on hold. And here’ s the good news: Darkness Follows is done! And a whole month and a half ahead of deadline! I’ll give it a few weeks to simmer on the back burner then go over it one more time right before sending it off to the editor by September 1. The release date is still May, 2011 so watch for it. For those who want to know what the story is about . . . it’s a love story, plain and simple. You’ll have to wait for the rest. In the meantime, I’m going to begin work on my next book, tentatively titled Midnight is My Time. I don’t have a release date on this one yet but my deadline is January 1 so I better get cracking! I also have another project I’ll begin working on in the next few weeks but can’t say anything about that one yet. When the time comes you’ll get the full story . . .
Now, can I ask a huge favor of you? If you’ve read Darlington Woods would you mind going on Amazon and posting a quick review? Nothing long-winded or eloquent, just a few words saying what you thought of the story. It may seem like something little, something “the other person” can do, but each review really does help. Please? For those in the York, PA area, tomorrow (Saturday, July 10) I’m continuing my Light the Darkness Book Tour at the LifeWay Christian store. I’ll be there from 11:00 to 1:00 chatting and signing books. Stop in and say hi. I’d love to see you there! Here are the winners of both the Christian Fiction Online Magazine contest and my Darlington Woods Contest . . . In case you’re interested . . . how the winners were chosen: I did it the old-fashioned way. All the entrants’ names were written on slips of paper, the papers put in a box, the box shaken, and names drawn blindly and randomly. Fair is fair. Okay, folks, there’s only one month left to enter the Darlington Woods Contest and win a really great grand prize. I know plenty of you have read the book and the questions aren’t that tough. Really, if you even half paid attention to the story and have a very basic knowledge of how to use Google you can find the correct answers. And the grand prize is indeed grand: a NKJV study Bible (my dad, a pastor, says it’s the best study Bible he’s ever used), a flashlight, an autographed copy of Darlington Woods, and your name in my next book (unless your last name is Zachabrowski or something equally as hard on the ears in which case it’ll only be your first name . . . sorry). A prize like that is worth answering three questions isn’t it? You have until June 30 so if you haven’t read the book yet there’s still time to get a copy and read away. First, let me say how thankful I am for my readers. Without you this whole writing thing would be an act of futility. Yes, I love writing, but what I love about writing is knowing someone is reading. Without readers, writing would be like talking to yourself and saying some wonderful things that no one will ever hear. Which, by the way, I do all the time. Oh, the things I come up with . . .
Second, I have a lot of readers who love the suspense/horror genre and want to see it grow in the Christian market and they love my brand of suspense/horror and want to support it. That’s great, really, and I’m humbled and appreciative beyond what I can express on this blog. So what can you do to help spread the word, increase awareness, and be a part of establishing this genre in the Christian fiction world? 1) If you’ve read Darlington Woods (or any book for that matter) and enjoyed it, post a review on Amazon.com. It’s easier than you think. Go to the DW‘s Amazon page, scroll down to the reviews and click on “Create Your Own Review.” It doesn’t have to be Pulitzer stuff or long-winded, just a few sentences about what you thought of the book. 2) The next time you’re at your local library or drive past it, stop in and ask them to purchase a copy of DW. Most libraries will accommodate their patrons and order what they request. Some libraries have a book suggestion feature on their website too. 3) Tell your friends, your family, your co-workers, your neighbor, the creepy shirtless guy who walks his dog by your house every morning. Tell them all! 4) Purchase the book for gifts. We all have oodles of people we buy birthday gifts for . . . parents, siblings, uncles, aunts, grandparents, nieces and nephews, friends, blah, blah . . . and a book makes a great gift. And Father’s Day is just around the corner! If you want a signed copy for $15 (price includes S&H), go to the contact page and email me privately. Signed copies make even better gifts. 5) Stop by your local bookstore and if DW is not on the shelf tell them they really need to order it, like, really need to, like right now if they know what’s best for them. 6) If you’re involved in a book group why not suggest DW? I know, I know, your group has Karen Kingsbury and Beverly Lewis and Francine Rivers on the docket already and most of them are scaredy cats. Hey, break out of the mold, do something exciting, and read something different for a change. Boy, think about the discussions you could have! And if you want, I can make myself available to do a conference call with your group so all those ladies can ask me why I’m so weird and why I have this stuff in my head. We’ll have a blast. So there’s a few ways you can help. And hey, if you do any of these, please let me know. I’m always interested to hear how readers are getting involved.